My yen for Hawaii is an annual occurrence that happens every January. I don't bother to try to hide it. This year we have been socked in with January skies of fog and clouds that don't let the sun shine through. If I can't drive to another part of the Bay Area where the sun is shining (like I did last week), I usually have to be content with looking at the photos from our last trip to Hawaii. 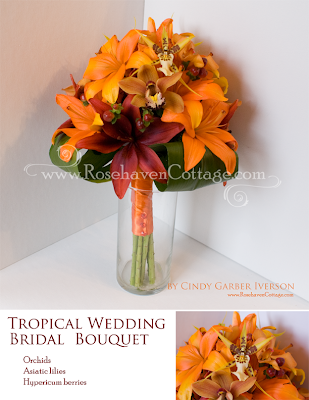 But this year, it's been different thanks to a sweet bride that asked me to do her flowers for her Hawaiian tropical themed wedding this past weekend. Since last Thursday, I have been surrounded by exotic blooms of every kind in amazingly sunny gorgeous colors. I've been in my own little tropical paradise, and it's been wonderful! What a treat! These are beautiful! 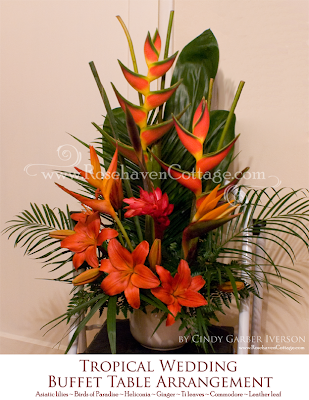 I absolutely love these arrangements! 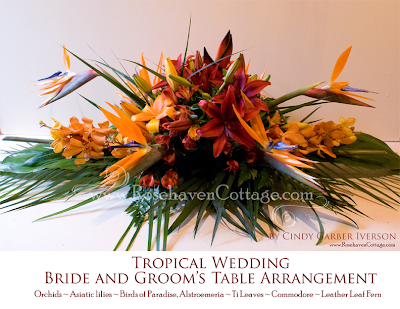 Wow Cindy, you sure know how to do gorgeous flower arrangements for a tropical themed wedding. Stunning! Here I am yearning for sunshine too but no, mostly fog and clouds today and nippy, minus 3 C.
Those are outstanding arrangements. 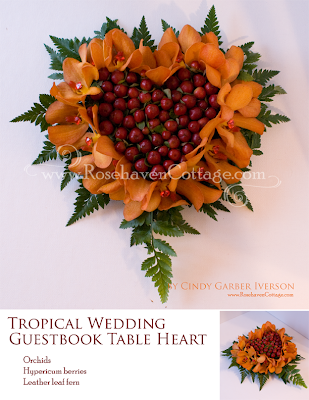 I'm especially impressed with the Guestbook Table arrangement. Very creative. Ooh! I REMEMBER some of those....they're so lovely with their wild exotic-ness. Thank you for taking me back--I loved loved loved Hawaii!